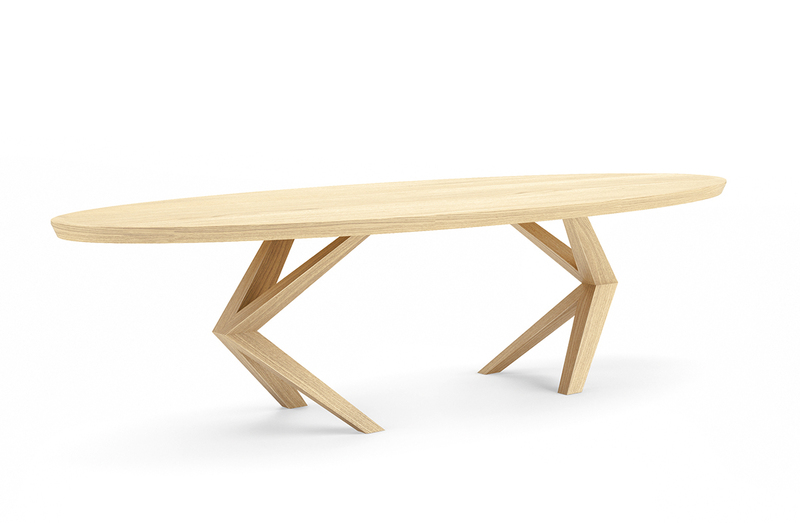 Dining table in solid walnut, oak or cherry wood. Available with rectangle or oval top in multiple dimensions. Oval: 110.25"W x 43.3"D / 47.25"D x 29.5"H, 118"W x 49.25"D x 29.5"H, 138"W x 51"D x 29.5"H.
Rectangle: 110.25"W x 39.4"D / 43.3"D x 29.5"H / 118"W x 39.4"D / 43.3"D / 47.25"D x 29.5"H, 138"W x 43.3"D / 47.25"D x 29.5"H.